The FSB Insurance Division’s recent Seminar focused on planned conduct of business regulatory and supervisory developments in the insurance sector. Many of these developments are driven by three overarching objectives, including redesigning the organisational framework, establishing a robust regulatory framework and increasing the focus on transformation in the financial services industry. The importance of improving access to financial services and establishing a culture based on treating customers fairly was also emphasised. The organisational shift from the sectoral FSB to the functional FSCA, which is envisaged to be effective from April 2018. 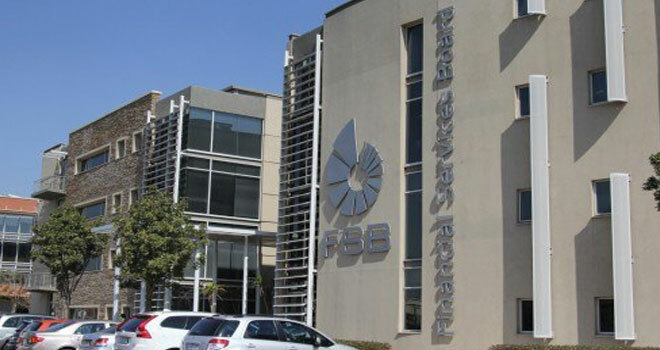 With regards to licencing, the FSB emphasised that, during these changes, the focus will be on engaging with financial services providers to facilitate a conversion process, as opposed to re-licensing providers. The planned effective date for the Insurance Bill, which was passed by the National Assembly on Tuesday the 28th of November, is July 2018. The Insurance Bill makes provision for micro insurance while entrenching the broader goal of transformation as one of the objectives of the Act. Insurers will need to demonstrate, through their governance frameworks, that they have a plan to achieve the transformation objectives set out in the Act. Schedules 1 and 3 of the Act also seek to ensure alignment between the LTIA and the STIA. The COFI Bill will be published early in 2018 for comment (it may possibly be published in December 2017, but this is dependent on a number of factors). The Bill is planned to be tabled in Parliament during the second half of 2018 (possibly July 2018). The final version of the Tranche 1 PPR amendments is intended to be published by 15 December 2017, with the planned effective date 1 January 2018. The final version of the Tranche 1 Insurance Regulations amendments are planned to be published by 15 December 2017. The planned effective date is 1 January 2018. The theme of transformation and consumer education was highlighted during the discussion on RDR updates. A further consultation paper on advisor categorisation is planned for the end of 2017, possibly early 2018, confirming the previously communicated two-tier model and requesting input on a number of points including the feasibility of allowing a product supplier agent (PSA) to act as the PSA of more than one product supplier. For FAIS CAT 1 and CAT 2 licenses, informal consultation is still underway within the investment industry on defining “investment management” as a specific licensed activity. The FSB is also no longer proposing to completely prohibit white labelling by entities providing advice. However, while white labelling will not be prohibited, it was emphasised that they will need to be effectively regulated so as to avoid conflict of interests. A public discussion document on these investment-related proposals will follow in early 2018. With regard to the Draft Determination on Equivalence of Reward, it was emphasised that this is not a new concept and that it is necessary in order to level the playing field between tied advice and untied advice. The Planned effective date is 1 January 2018. The third Party Cell Captive Insurance Position Paper is planned to be published by 15 December 2017. The Short-Term Insurance Intermediary Activity Analysis Report is due to be released early in 2018. The Tranche 2 amendments, which concern additional PPR and Insurance Regulations amendments, are planned to be released for comment by April 2018. The planned effective date is July 2018. The purpose of these amendments is to align the PPR and insurance regulations terminology with the Insurance Act and to address segmentation across the insurance industry. Please keep in mind that the above-mentioned timelines are dependent on what happens in Parliament. While a significant amount of information was covered during the seminar, there was a strong focus on the need to establish a culture based on treating customers fairly, adopting a more proactive approach to Fintech and facilitating transformation within the insurance sector. All of the presentations from the seminar are also available on the FSB Website. Whatever happens, the financial services industry will look substantially different in six to seven months from now.